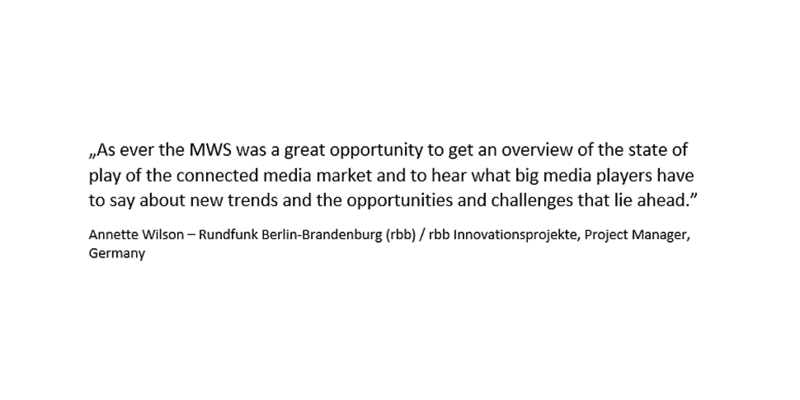 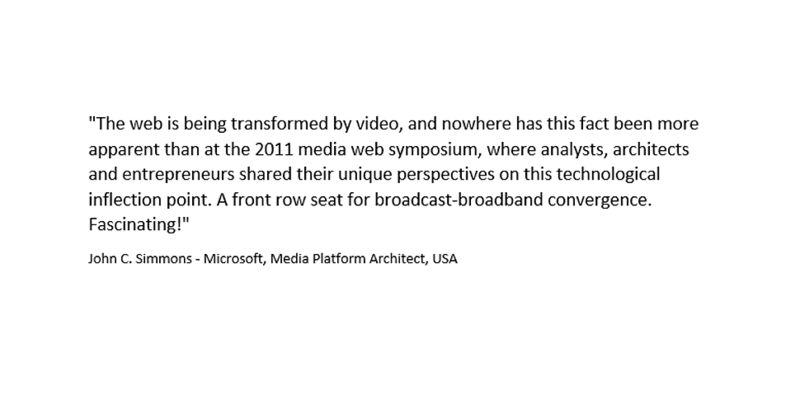 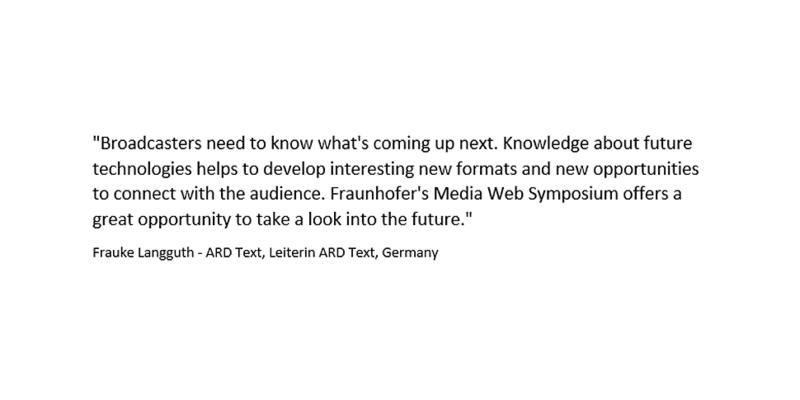 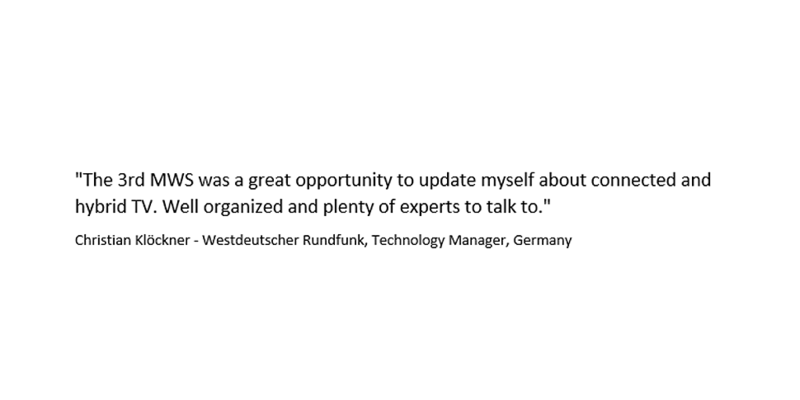 Fraunhofer FOKUS, together with partners and friends, invites to the FOKUS Media Web Symposium 2014, May 8 - 9, in Berlin, Germany. 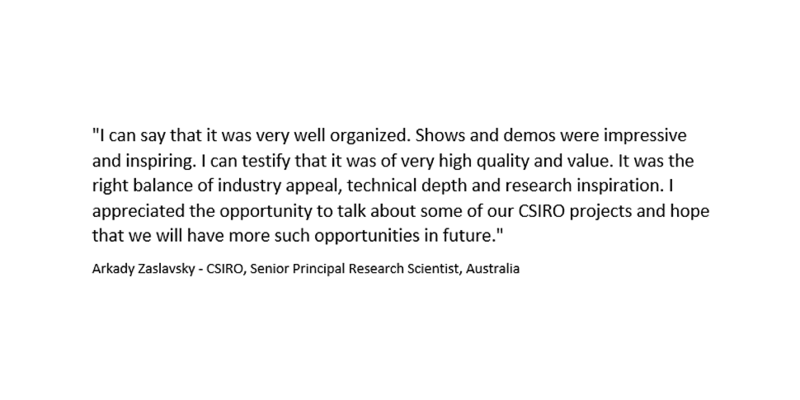 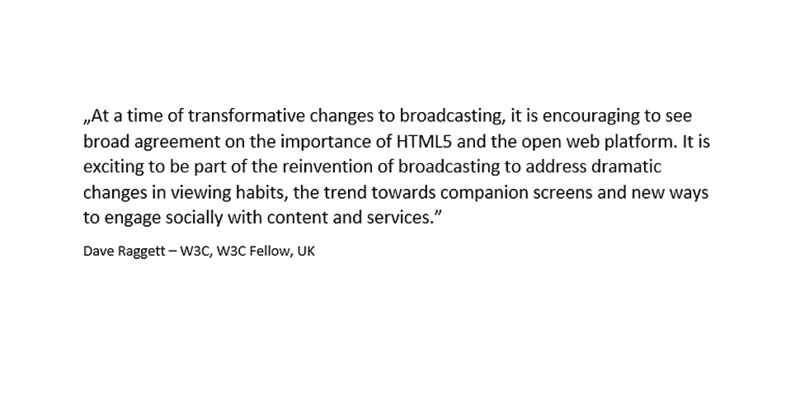 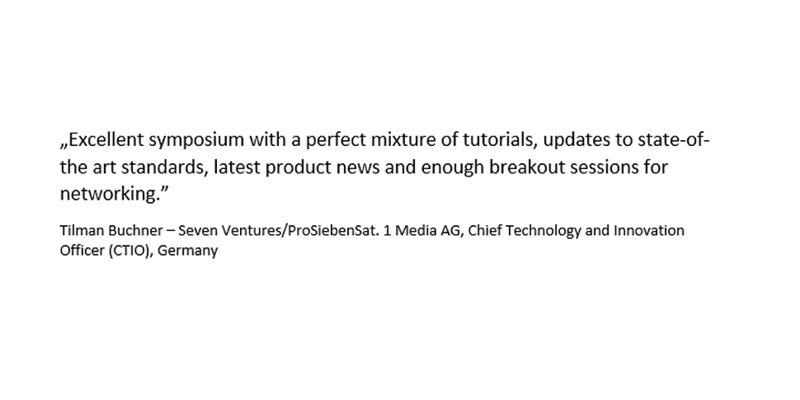 During these two days, international experts will present and discuss current media trends in tutorials, technical workshops and invited conference presentations. 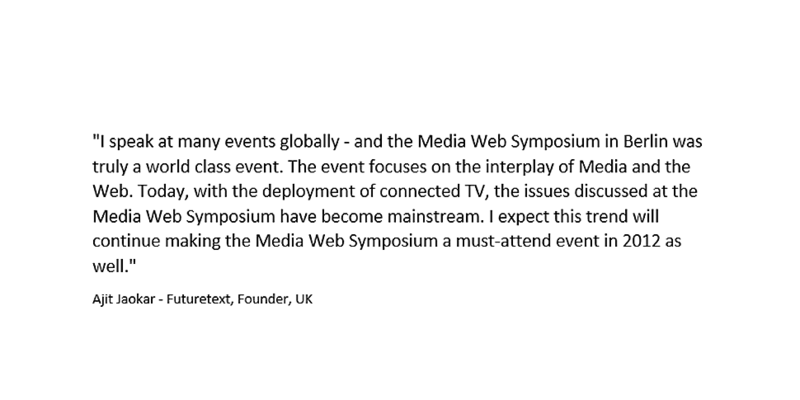 The symposium offers tutorials, workshops and a great social event as well as a full day conference with the latest insights in Connected TV, Web Technologies, Streaming Media, and Multiscreen Solutions. 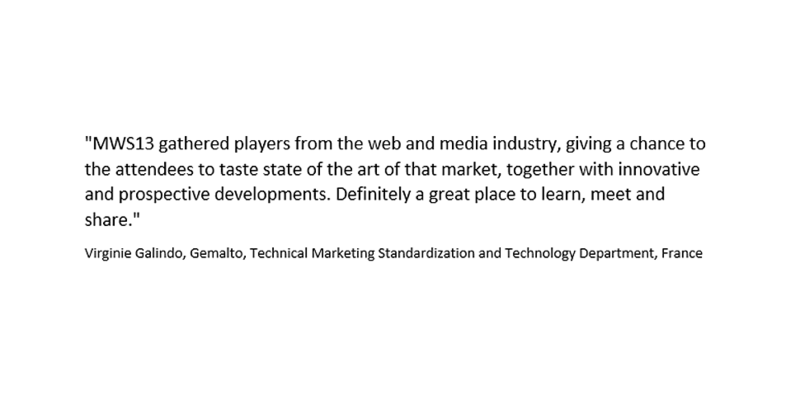 The technology is still expanding: the future of web based technologies is a fast growing market, which seems not stoppable. 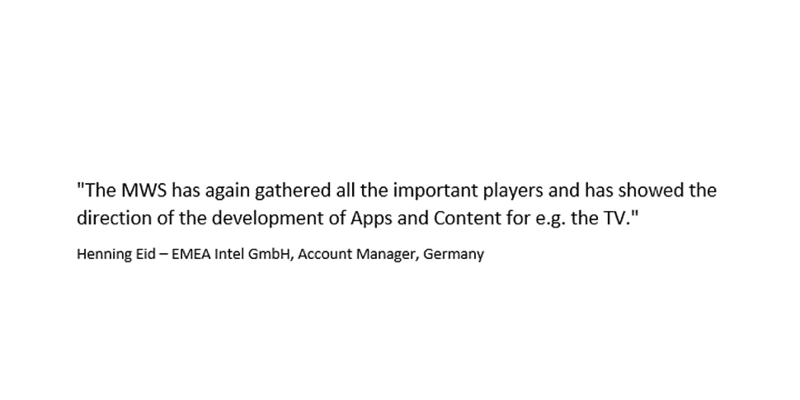 With each day we develop and deliver new content to PCs, game consoles, TVs, smartphone or tablets, making the live of many people easier, safer and more interesting. 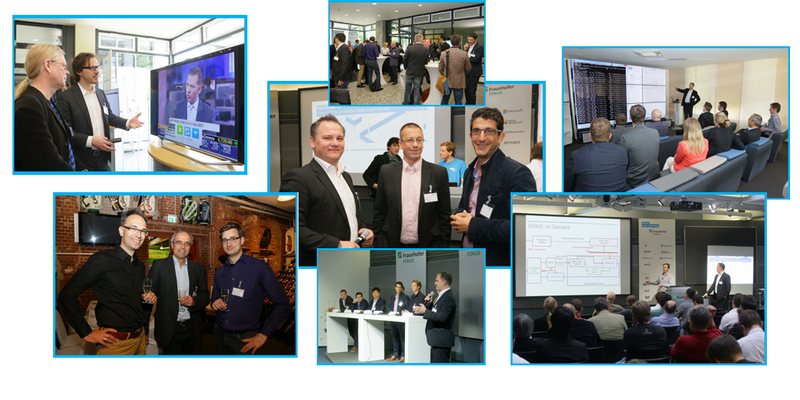 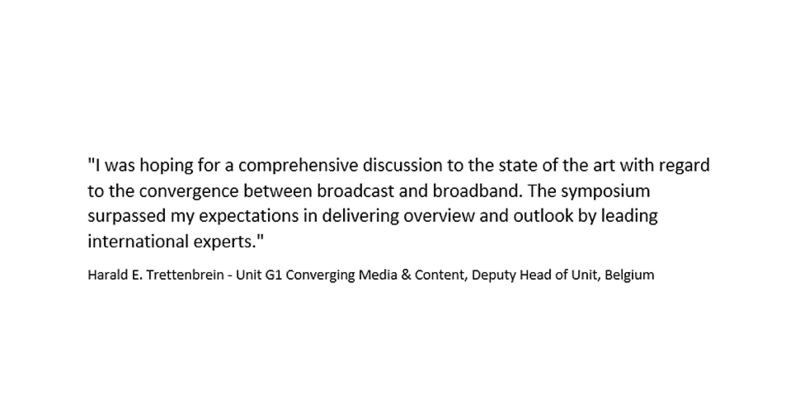 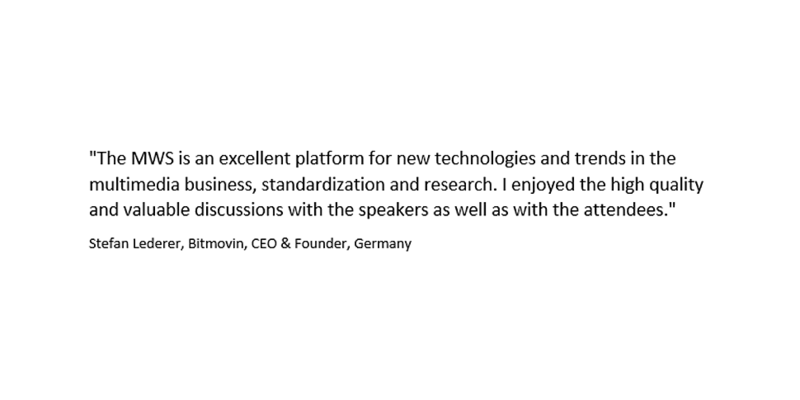 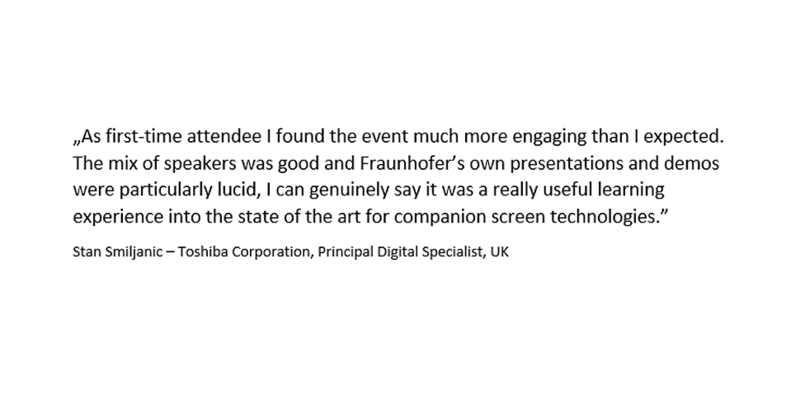 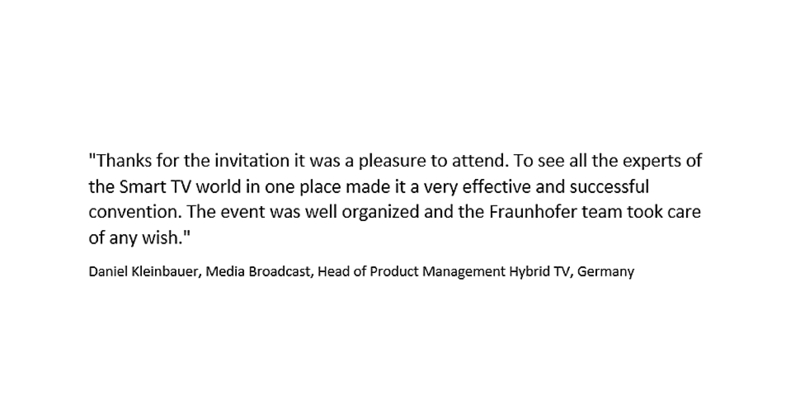 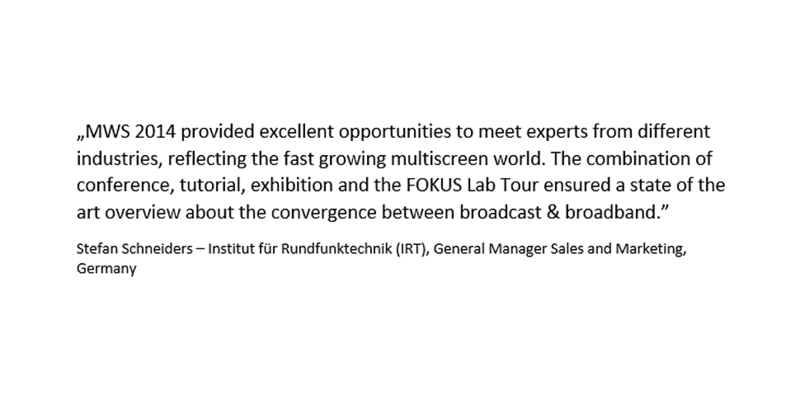 At the 4th Fraunhofer FOKUS Media Web Symposium, to be held at May 8-9 2014 in Berlin, we will discuss which technical gaps and barriers have to be cleared to distribute optimized versions for a multitude of end devices. 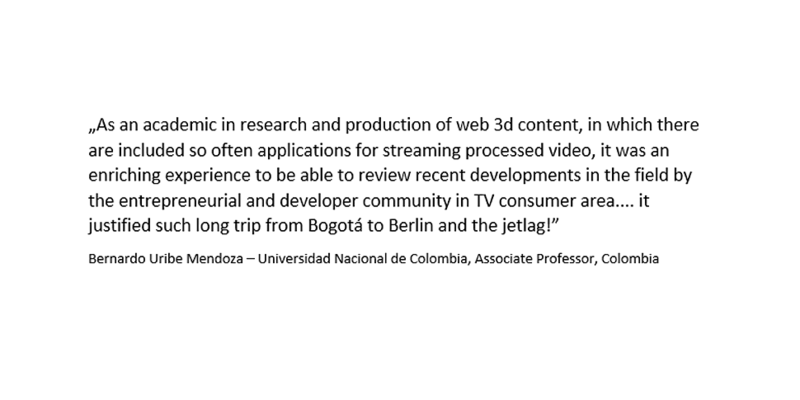 In the morning sessions of the first day we will have two parallel tutorials addressing Internet delivered Media and Multi-Screen Technologies and Standards. 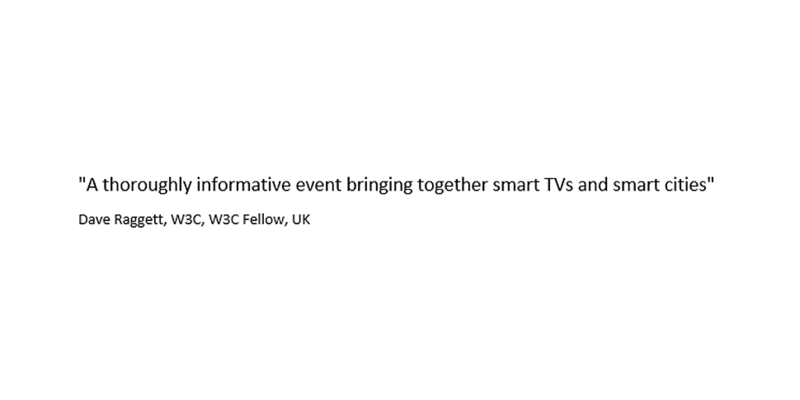 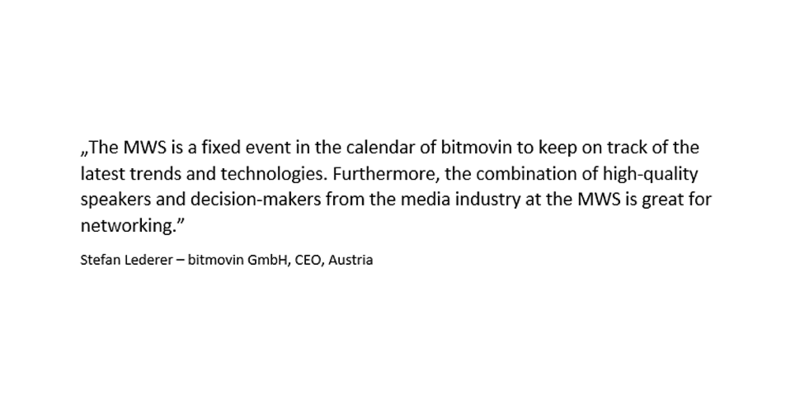 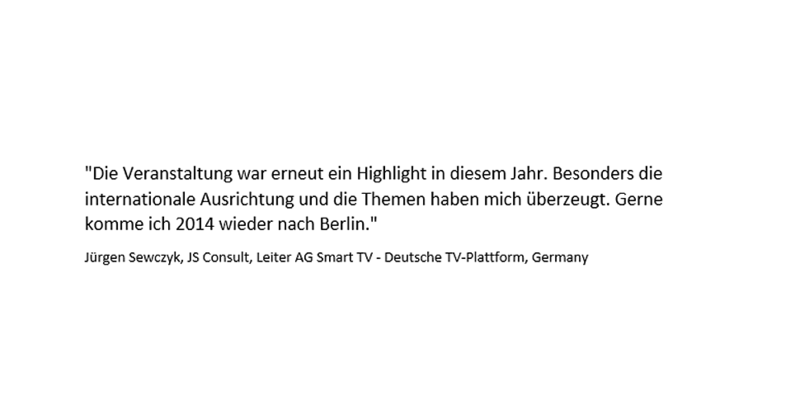 The afternoon offers two parallel workshops with sessions dealing with the question "Smart TV - what is next?" 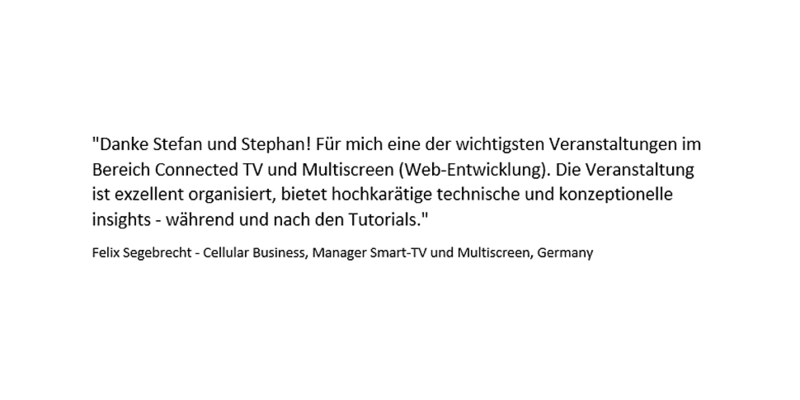 and on Multi-Screen Challenges and Best Practices. 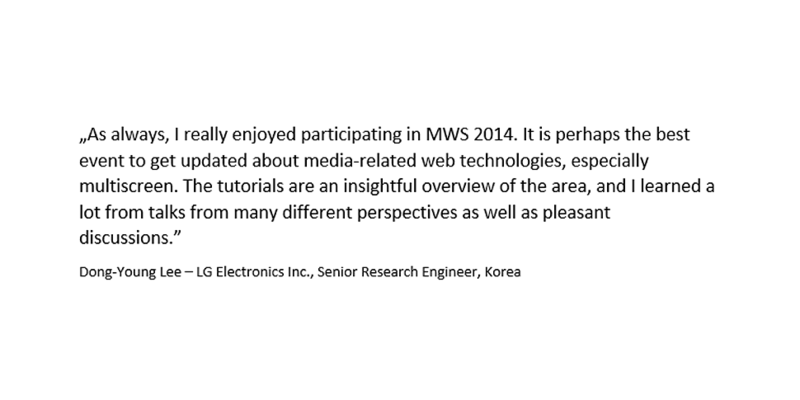 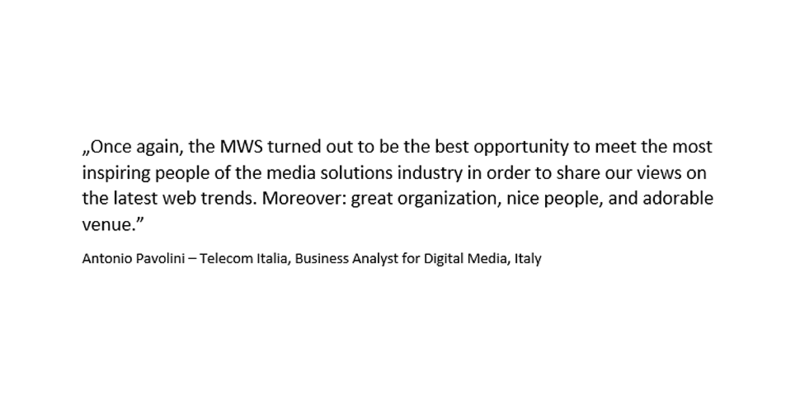 Day two of MWS 2014 forms the backbone of the event. 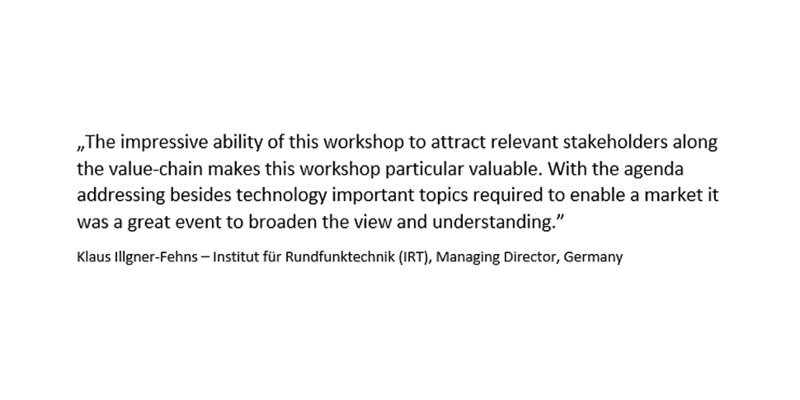 Six sessions are meant to provide insights to project managers and executive personnel from the media and content industry on topics concerning web integration in consumer electronics, social media evolution, multi-device apps and new media business models. 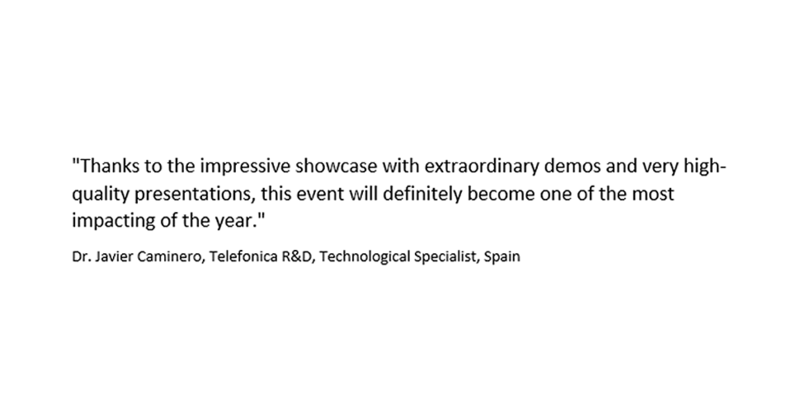 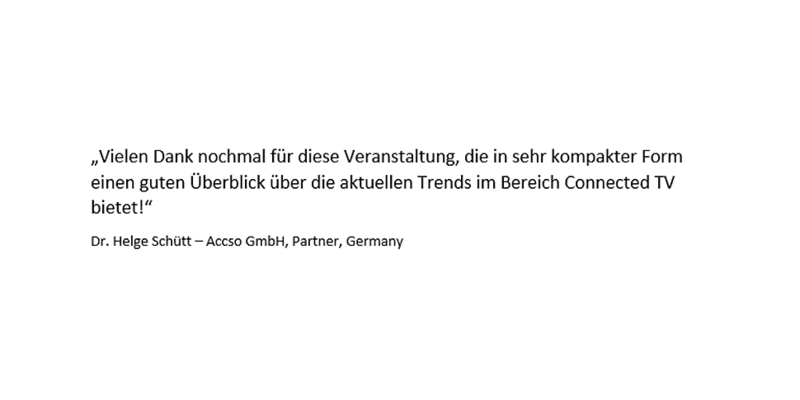 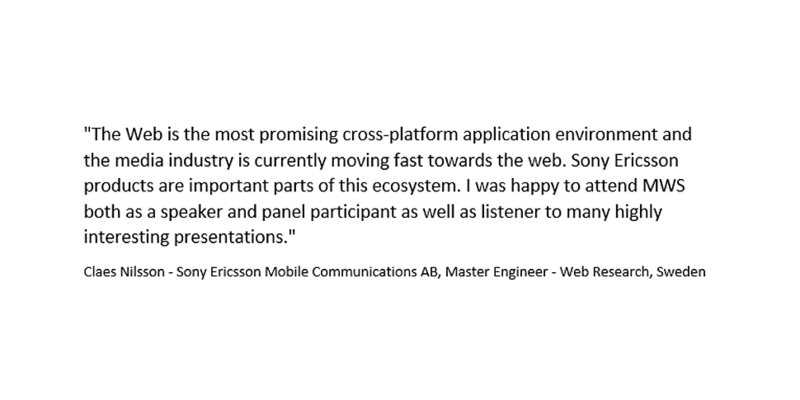 On top of that, participants will have the chance to discuss technical challenges and opportunities of interactive content integration on multiple platforms and devices.